I'm sure you have seen a viral YouTube video. They come in all shapes and sizes—from super popular songs like "Watch Me (Whip/Nae Nae)" to a funny grumpy cat, someone falling down, or even something completely off the wall like Ylvis' "What Does the Fox Say?" video. What do they all have in common? Well, these posters all made a ton of money on YouTube when their videos went viral. So let's find out how to make money on YouTube. The first and probably most obvious starting point is set up YouTube account. You should have an idea of the types of videos that you want to upload. Next you'll want to Enable monetization and sign up for Google AdSense. Enabling monetization means that you agree you will only upload video content that you have the rights for and that you will play by the rules (such as not watching your own video over and over to boost ads). Google AdSense is the way you set up your payment information for when you actually start making money. I've posted links in the show notes of today's episode so that you don't have to hunt around for these links. Next up you'll want to become a YouTube Partner. This isn't as hard as it used to be. In the past, to become a YouTube partner you had to have some 15,000 hours of your video watched at any point in time. The benefit here is that you can upload more than 15 minutes of video, which may help on some video projects. You also get analytics tools and some more advanced editing tools. 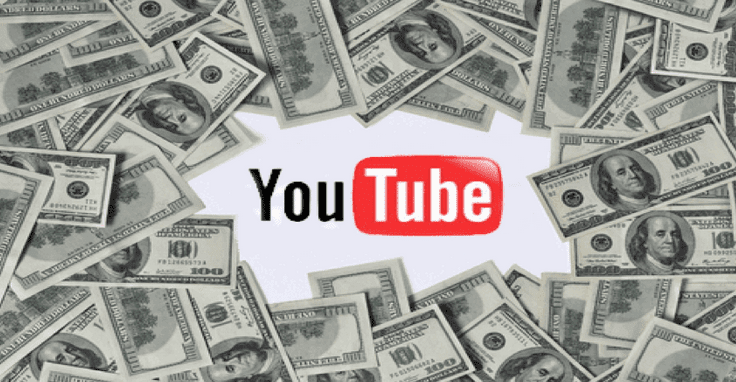 Now that you have monetization setup, along with Google AdSense, and YouTube partnership, you're ready to go. Next let's break down the types of advertisements on YouTube. You're probably familiar with them if you watch any amount of YouTube videos. There's the bottom text based ad that is displayed at the bottom of your video, and then there is the clip that plays at the beginning of your video. You can select which of these ads your video can have, and it might make a difference depending on your audience or how much revenue your video brings in. The way advertising works with YouTube is probably one of the most complicated things that comes with trying to make money off of YouTube. The real estimate comes out to about $7.50 per 1,000 impressions. The difficult part is actually defining the word 'impressions.' The only time you make money on YouTube is when someone interacts with your ad or when it leaves an 'impression' on them. This means that if someone skips an ad, or is running an ad blocker, then you don't get paid for that view. 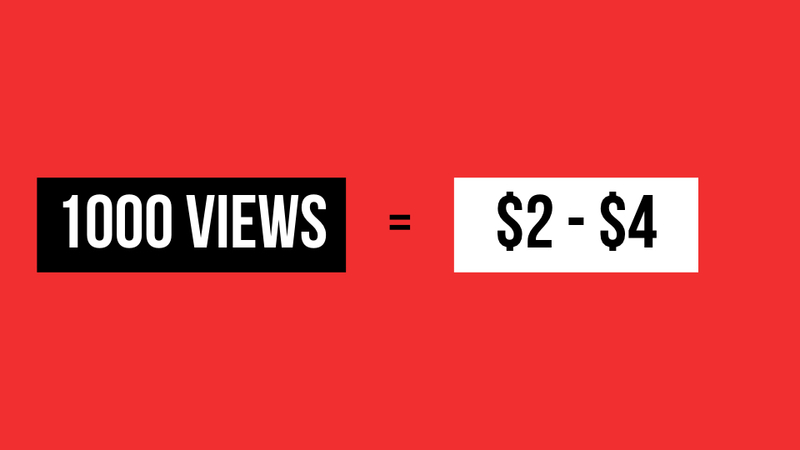 This makes estimating the amount of views a video has and how much a user makes off of the video very challenging. It also depends if it's a video ad at the front of your video, or just a box at the bottom of your page; this determines how many people interact with your ad and the amount of money that can be made. At the end of the day, though, there are a lot of variables that can affect just how much you can make on YouTube. Your audience has a lot to do with the type of ad that would work best. For example, if you are making short funny videos, it's probably best to not include a 30-second ad at the beginning—a viewer might just skip right on by. Luckily, YouTube has an analytics page that you can use to see just about every measurable aspect of your video—from demographics to time of day watched and location.